The main star of these dates is music. In the Pontifical Basilica of San Miguel, as well as in others, concerts of sacred music are being prepared. Concerts by young organists and their teachers are also included in the cycle Organ Music in San Ginés. The most eagerly awaited moment for music lovers at this time is the tamborrada maña. This tradition takes place on Easter Sunday and celebrates the resurrection of Jesus Christ in the company of numerous confreres, drums and tambourines. Each concert will be preceded by a brief presentation. All concerts are free; however, don’t forget to check the agenda as there are churches that distribute tickets up to two hours before the concert. For the religious believers and the onlookers, discovering the city around this time has a unique charm. All the streets in the city center will be full of processions. Procession of Our Father Jesus of Health “The Gypsies” on Holy Wednesday at 20:15h, departing a few steps from our hotel in the parish of Carmen (Salud, 2). This procession takes a tour around the entire downtown area, passing through the Puerta del Sol and its surrounding streets. 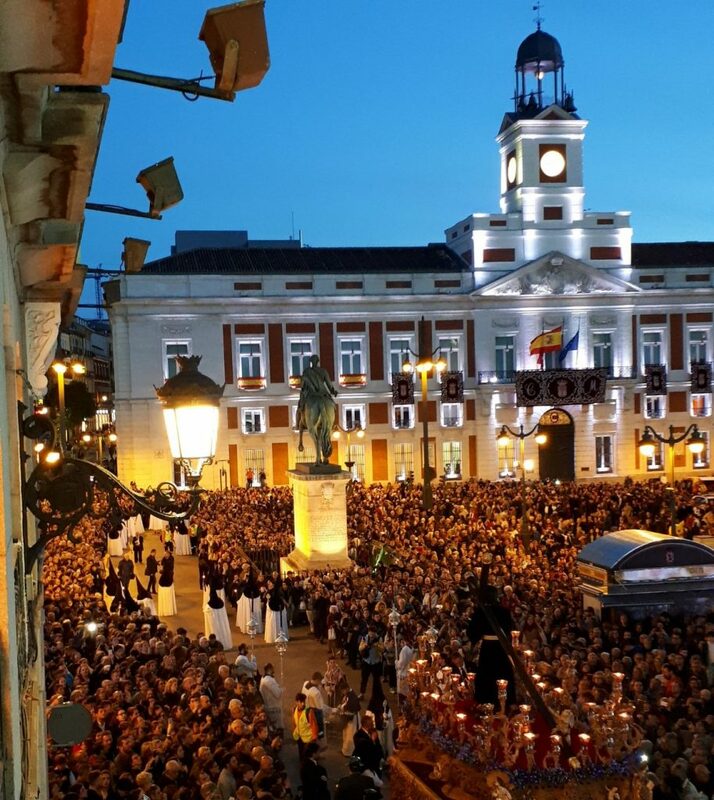 Jesus Nazareno De Medinaceli on Good Friday (Jesus Square, 2) at 19h. The image of Jesus, which has a height of 173 cm and was made in Sevillian workshops in the seventeenth century will tour the most emblematic streets of Madrid including Paseo del Prado. To end a wonderful visit, don’t forget to try the typical dishes of these festivities including the famous torrijas. As well as the cod croquettes, the Soldaditos de Pavía and the chickpea stew a la madrileña.